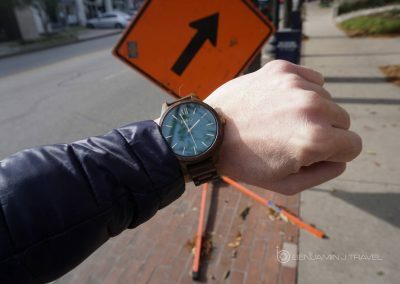 So maybe it’s not specifically travel gear, but who doesn’t need a stylish timepiece to wear on the go? 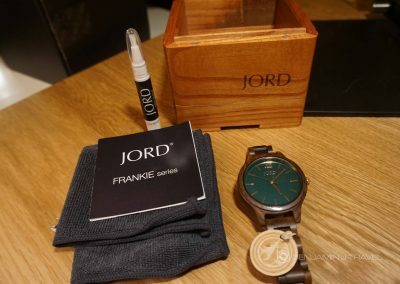 The folks over at JORD wood watches gave me an opportunity to try out one of their beautiful wood watches so I though I’d share my impressions. Let’s just say I’m impressed with the Frankie watch! 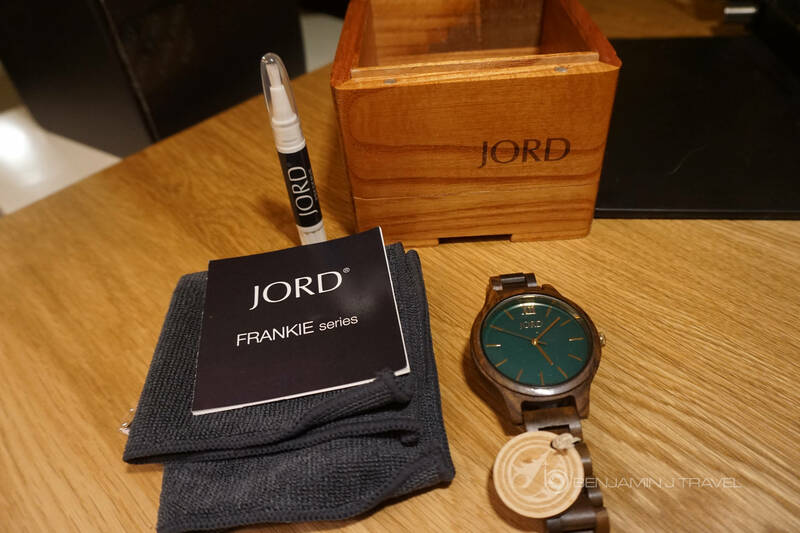 I received my Frankie watch via mail in one of JORD‘s custom mailing cartons. 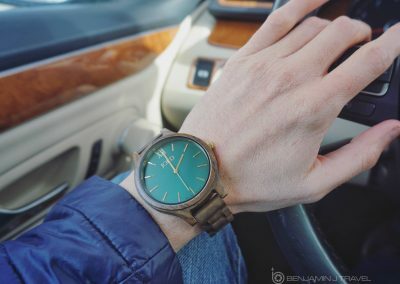 The Frankie watch comes in different color and wood options but I selected the Sandalwood band with the emerald watch face. The packaging alone is well thought out. Inside, all the goodies were contained. 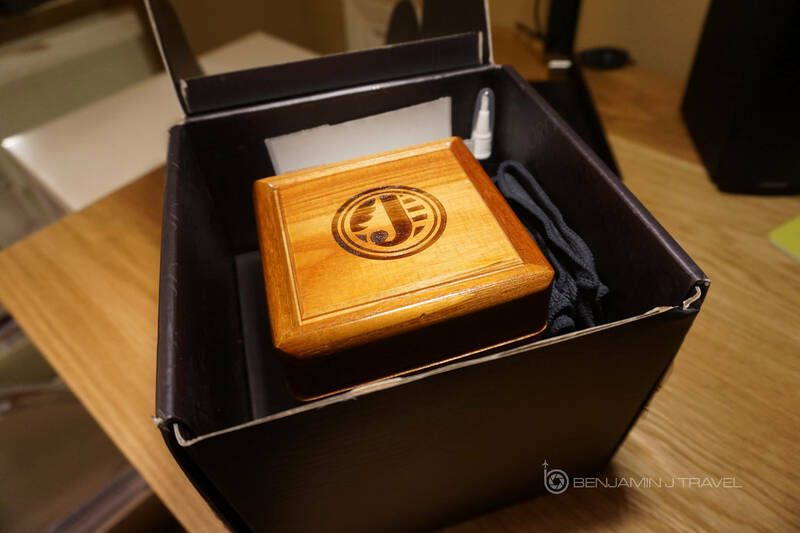 The watch itself is contained in a nice wooden box and packed with care. Also included were a couple of cleanings cloths and an all natural wood cleaner. I had pre-measured my wrist at the time of ordering and the watch had the appropriate number of links removed for my wrist size. The extra links were included in a small bag in the box. 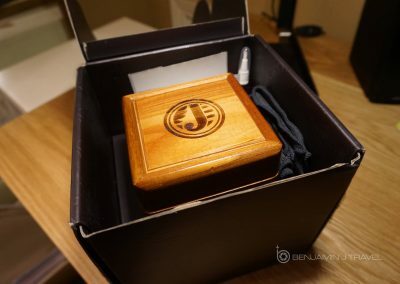 JORD scored high already just on the quality of shipping and the thoughtfulness of their packaging. 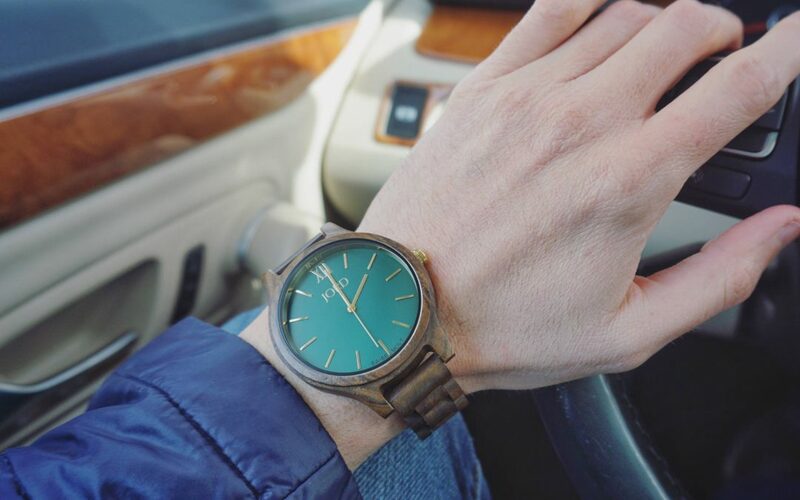 To be completely honest, this style of watch isn’t something that wouldn’t come to top of mind. But once I started browsing JORD’s online catalog, I was quite intrigued. And once I put the watch on for the first time, I was instantly sold. First, the Frankie watch is incredibly comfortable and the fit is just right. I’ve got small wrists so that isn’t an easy accomplishment. 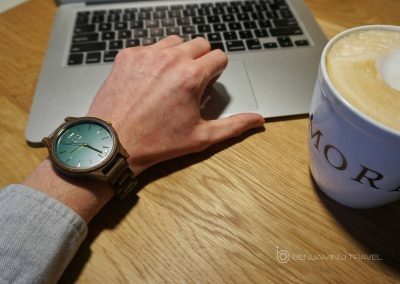 I tend to gravitate to slimmer watches but the Frankie actually looks quite nice with a larger face. But even though it’s a larger face, it’s not too large to be distracting. Plus, the deep colors make a great conversation piece. 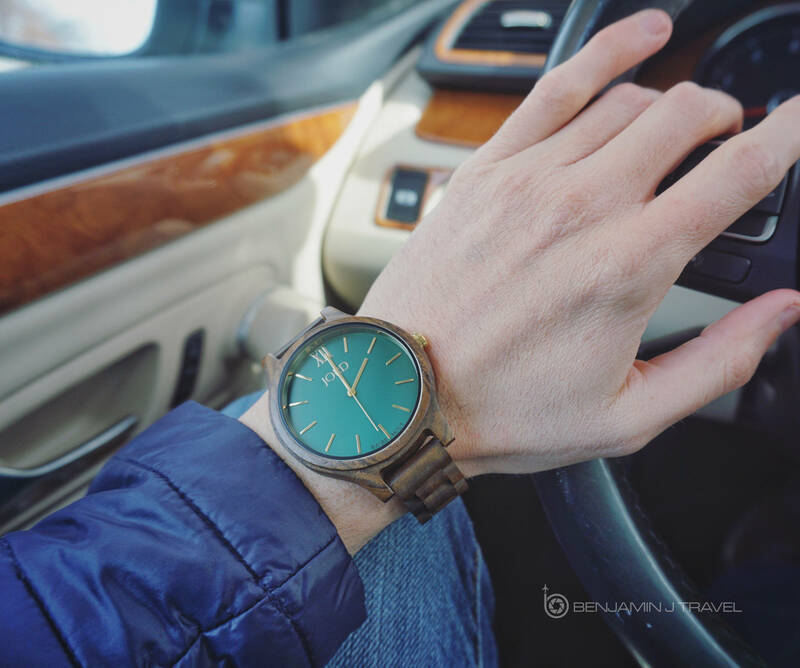 The deep tones of dark Sandalwood and emerald green are very complimentary. 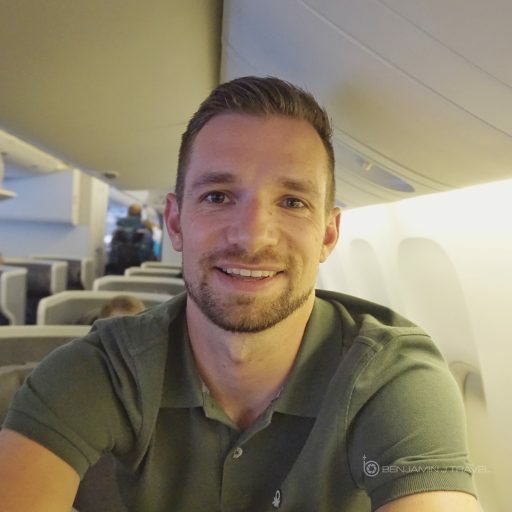 And what about quality? No doubt there at all. 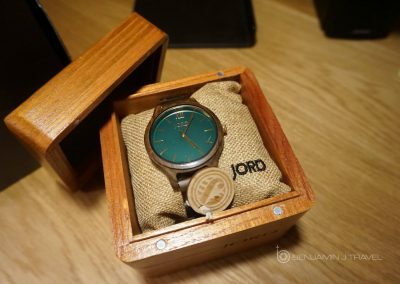 I got a good impression that JORD produces some very nice watches made with care and thoughtfulness. 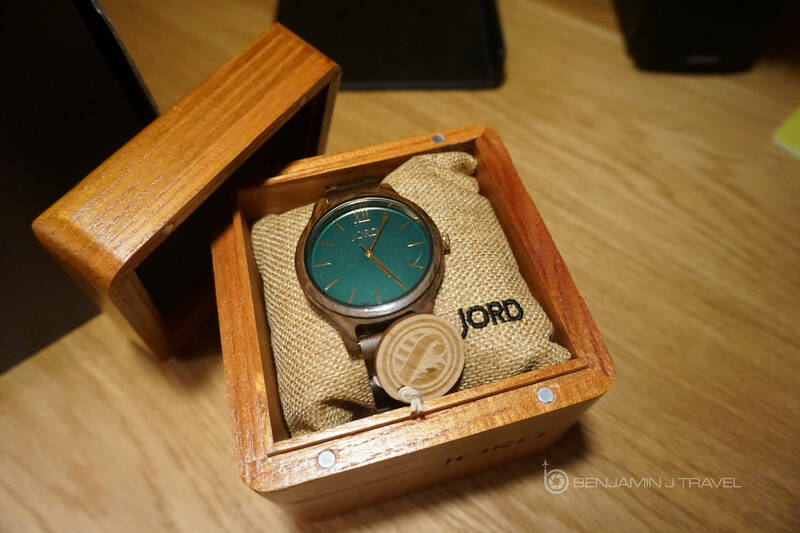 There are other brands out there producing wooden watches, but JORD really goes the extra mile in quality. 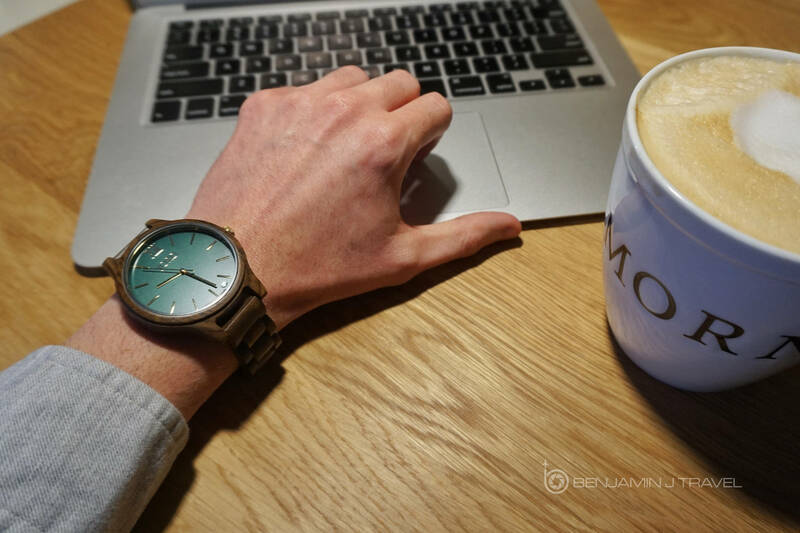 Interested in getting one of these stylish timepieces for yourself? 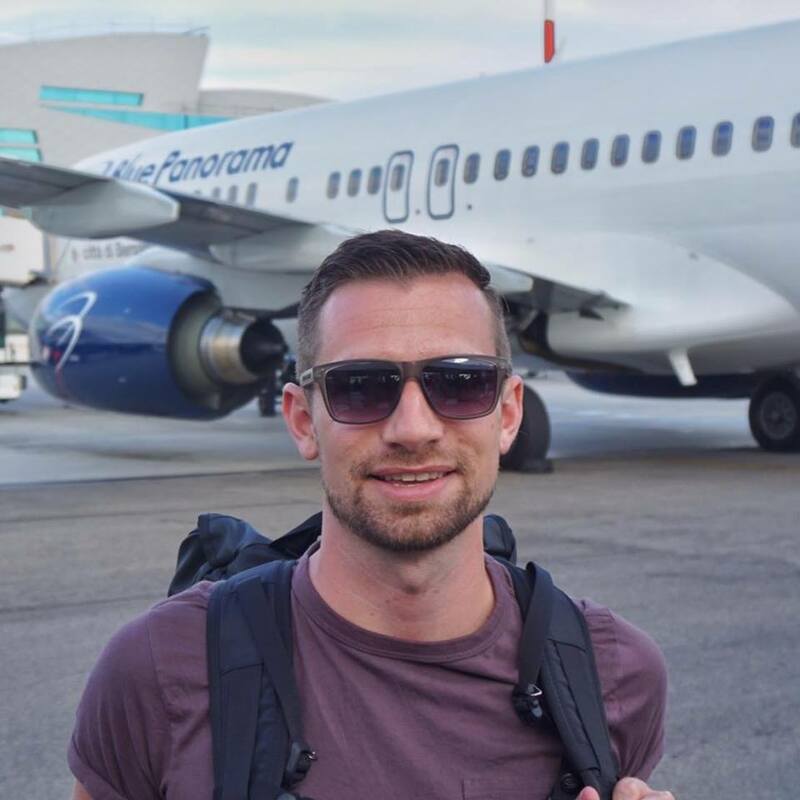 JORD is currently offering an instant $25 e-gift code through Dec 21st so you better hurry! Be sure to find a gift for someone special…..or for yourself!